Maybe, like me, you read Death of Salesman at school. It’s about an ageing salesman who is down on his luck, gets fired, messes up all his relationships, and tragically takes his own life, so his son can pick up the insurance money. This was my first exposure to selling. And it was all downhill from there. Selling has a bad rep. We see signs that say, ‘No Selling Here’. To “sell out” means to betray. To “sell yourself” means to degrade. If we think someone is trying to trick us, we ask, “So, what are you selling, then?”. Many business owners in the creative industries love what they do… but hate having to pitch their product or persuade others to buy from them. Some find it embarrassing; others feel it is downright degrading. In this country, I suspect we associate selling with slick, extreme extrovert, showy-offy behaviour. As well as the usual opportunities to network and experience coworking, we will have Sales professionals there to help you demystify the sales process, and learn how to refine your sales skills. Our first speaker spent over twenty years as a Financial Services professional both within leading organisations and her own practice. She is the founder of CJH Training and specialises in skills and strategy for consultative selling. Delivery is aimed at the needs of start-ups, early stage entrepreneurs and service-based businesses, via online courses, workshops and mentoring sessions. Successful, ethical selling doesn’t happen by accident but requires a powerful strategy that can be relied on time and time again. This short talk introduces the power of the Sales Cycle and how it can be used effectively to develop client relationships and increase revenue. Our second speaker is an international business and sales coach. 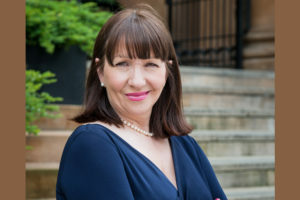 Moira comes from the Gaeltacht region of Donegal, she helps small business owners and entrepreneurs who hate sales – inspire their way to more clients, customers and profits without being salesy through business coaching and intensive business retreats. I strongly recommend Daniel Pink’s To Sell is Human: The Surprising Truth about Moving Others. It’s the best book I’ve read on selling. There’s a great 5 minute summary of the book here and a 10 minute summary here. Allen Baird is a Partner in Sensei – the parent business of the WabiSabi venture. He is most likely to be found either reading or writing a book, or discussing the concepts of the latest sci-fi blockbuster, in a serious tone, over a Danish and proper coffee.